I'l have to assume that there will come a day when a black woman headlining a film isn't cause for a think piece, social media hashtag, and a parade. But today is still not that day. 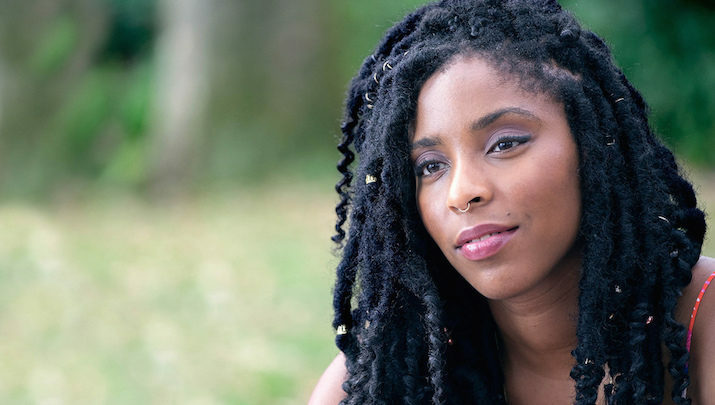 And I don't think I ever want to not celebrate the fact that a woman like Jessica Williams--irreverent, nose-ringed, confident but not sassy -- executive produced and stars in a film that was written just for her (by a white guy, no less). But sadly, THE INCREDIBLE JESSICA JAMES is only isn't up to par with the tremendous talent of the former Daily Show correspondent, who still brings her keen observational comedy and wit to this Netflix romantic comedy only to have it wasted. 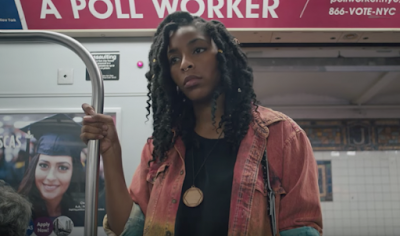 Like anything involving Williams, THE INCREDIBLE JESSICA JAMES does play against type. It's a romcom that doesn't adhere to the typical girl meets boy, he breaks her heart, she runs after him, he's not ready to commit to her, then much later runs to find her when he is through man whoring around town format. Though the title character and Williams's alter ego is aching over a breakup, triggering her to passive aggressively plan dates with guys she's not interested in to places where she hopes she'll bump into her ex (Lakeith Stanfield), she is still very much in control of her situation. An aspiring screenwriter, Jessica meets Boone (Chris Dowd) on one of these non-date dates and ends up kinda liking him, at least enough to sleep with him. So, they have a thing, and it's light and fun until his baggage ends up getting between them and their situation becomes no longer tolerable. But, the film is hollow and as scattered as its protagonist (who, to be fair, is also razor-sharp, ambitious, and delightfully feminist). The plot is paper thin, unorganized, and fails to make an impact. And I'm baffled by the fact that the story seems to take place in a metropolitan city, yet Jessica and her ex are the only people of color. Jessica's dates are all white. Her bestie Tasha (Noël Wells) is white. And the only places they seem to go are coffee shops and hipster joints (not like black folks don't like coffee or random bars, but I question it with these optics). It's like writer/director Jim Strouse (the white guy I mentioned earlier) saw Williams's talent, but could only write her in his dominant gaze of whiteness. Which is woefully problematic, a lost opportunity. While Williams herself is magnetic and commanding in the role, she's just not given enough character development or substantial material to really use this vehicle to catapult her to the status of which she is so deserving. THE INCREDIBLE JESSICA JAMES launches exclusively on Netflix July 28. Thanks for this excellent review. I love Jessica Williams and hope she finds a worthy vehicle soon. I'm still going to watch this piece tho, just to support her. Great insight about the white male gaze. I may get pushback for this (and I haven't seen the movie yet), but this sounds like my life. I'm black and I've never had a black boyfriend. Not on purpose, I just never really got asked out by black guys and I tended to be in long term relationships anyway, so I haven't dated that many people. Also, all of my friends are white. I honestly have like 2 black friends. Not because I'm doing anything wrong, it's just that my work environment is super white, I go to Episcopalian churches (when I go), and those aren't super black, and I genuinely love Edwardian Era dancing and Renaissance Fairs. But I'm also black. And these are my experiences. Which makes them black experiences. Kind of like what's in the movie, no? @TOE I don't subscribe to the notion that there is a specific "type" of blackness that is acceptable over others. But the problem I have with this film is how it separates Williams from her very popular and very successful brand, essentially whitewashing it. It makes her look very disingenuous, which is the opposite of what we know about her. I thought it was refreshing to see a black woman totally integrated into the"twenties world" of the arts and city life. She had a black former boyfriend, a white lover and a group of young students of various ethnicities, it appears. All in all, she seemed comfortable in her blackness and in her own multi-cultural world. Glad to see Jessica Williams continuing in her success. The Daily Show, 2 Dope queens and and her second movie!! Phoebe is making it big too!